The Sitka Chamber of Commerce was founded on December 21, 1903. 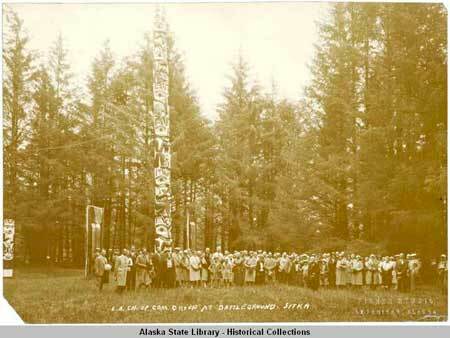 This photograph (left) was taken in 1904 on the battleground site at what is now called the Sitka National Historical Park. 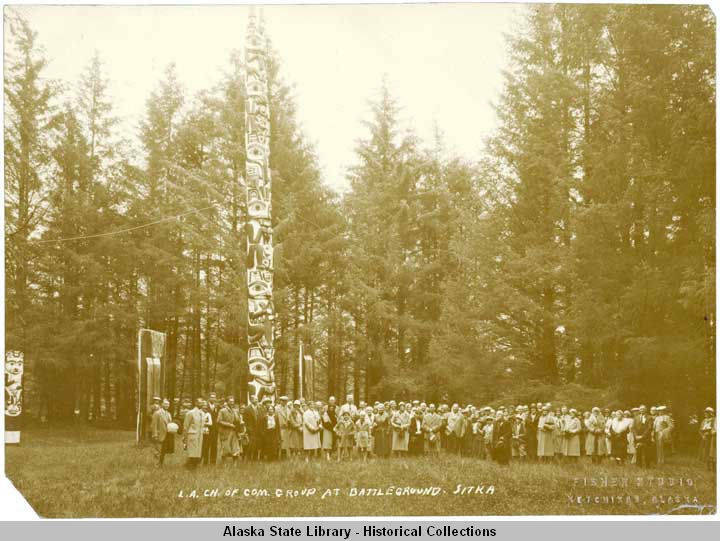 In the collection notes, the photo is labeled L.A. Chamber of Commerce - Sitka Chamber. It is not known if some of the people in the photograph are actually from the Chamber of Commerce in Los Angeles, California. Since the Sitka Chamber of Commerce was founded on December 21, 1903, it is likely that some of the people in the photo are members of the Sitka Chamber.